Located in a unique environment, surrounded by nature, ideal for walking, cycling or walking routes. 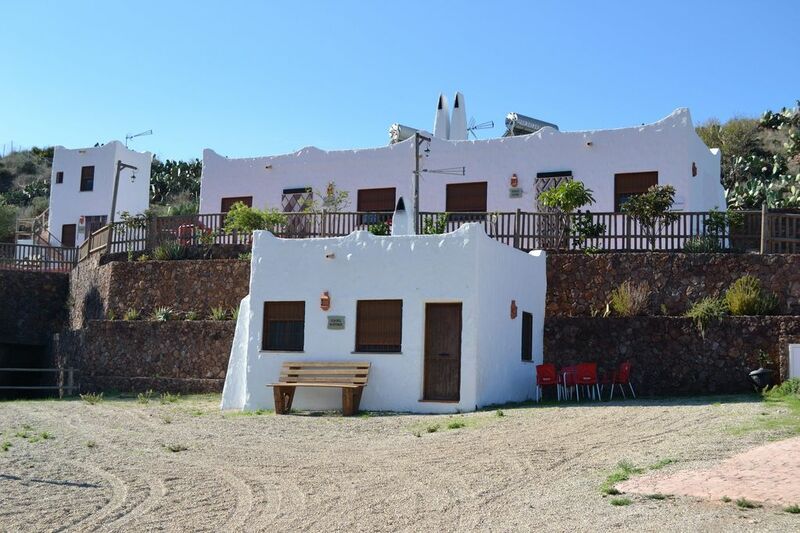 Casas Rurales La Minilla is located in the Cabo de Gata Nature Reserve, 2 minutes' drive from Los Albaricoques. It is surrounded by landscapes in which films from the west have been shot and offers free parking. The property offers rustic white villas with wooden beams, equipped with a furnished patio and a lounge with fireplace, sofa and TV. There is also a fan, a washing machine and a private bathroom with toiletries. The kitchenette includes a fridge, microwave and coffee machine. Only 500 meters from the villas you will find a bar, a café and a restaurant serving homemade dishes. San José Beach is a 15-minute drive away and Almeria Airport is 31 km from the villas. The property is well connected to the A7 motorway. nous remercions Manuel pour son accueil chaleureux. We stayed with 4 people 4 nights at Manuel's place. Everything was just as advertised, with all amenities working and Manuel was very friendly and helpful. Cleanliness was excellent and the cottage lies about 1 km out of town, very quietly at the bottom of cactus-laden hills. We found it a perfect retreat for birdwatching, walking etc., as it is inside the Cabo de Gata N.P. Also within 20-30 mins drive the coast is in reach with all its smaller towns and lots of restaurants, bars, shops etc. provided us several times wit excellent meals ! The town of Albariqocues has been used in the sixties in several famous spaghetti-westerns, and still host several signs pointing out the various locations used. and locations used in filmmaking back then. All in all a very good stay which we can recommend to anyone seeking a nice an quiet casa to stay.